DS713+ provides high-performance and a straightforward approach to data-management and protection, letting you get a head start for your business. Whenever you’re ready, upgrade capacity easily by adding an expansion unit. 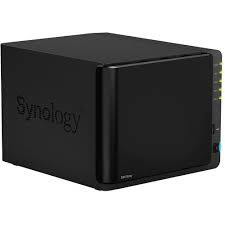 With dual core CPU and Link Aggregation, Synology DS713+ keeps up with the speed of your business with 225.47 MB/sec reading and 138.38 MB/sec writing speed under RAID1 configuration in a Windows environment. 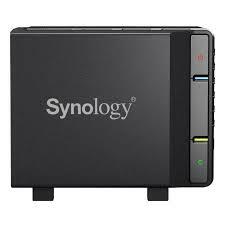 DS713+ optimizes your working experience by enabling faster and more efficient data transfers. When backing up to external hard drives, DS713+ comes with Super-Speed USB 3.0 ports providing ten times the transfer speed of its predecessor, reducing the time to transfer data to external hard drives. Coming with dual LAN ports with failover and Link Aggregation support, DS713+ ensures continual network service in case of LAN connection failure, avoiding possible disruption occurrences. Link Aggregation with trunking enhances connection speeds beyond the limits of any one single cable or port. 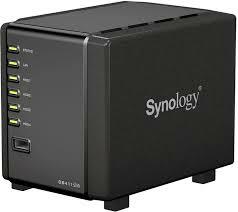 DS713+ offers hassle-free scalability up to seven drives with Synology DX513 expansion unit2 when the storage capacity of DS713+ nears its limit. Connected via eSATA with specially designed locking devices, DX513 expands storage capacity up to a maximum of 42TB3 with minimal time-investment in setup and configuration.